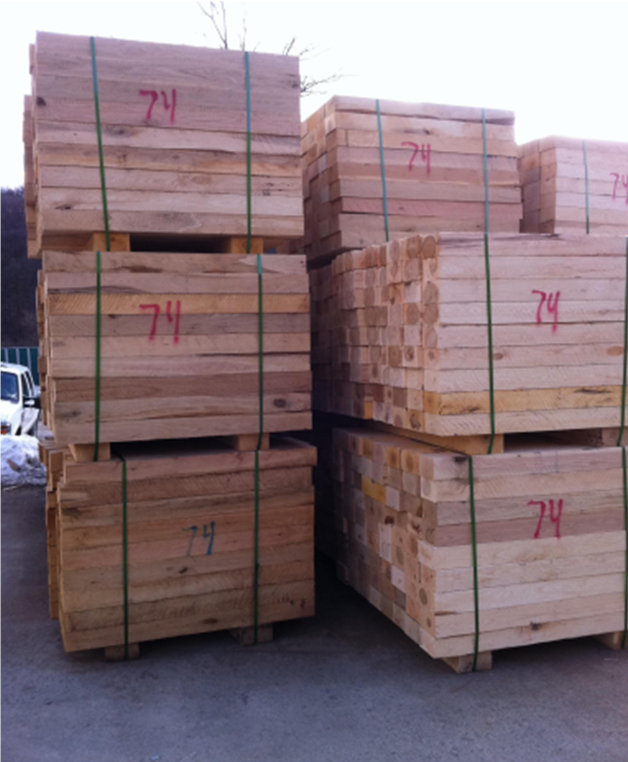 A & L Wood uses only the best quality hardwood in manufacturing its pipeline skids, 4+6”48” is our standard size, Please ask about our other sizes available. 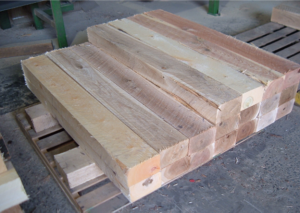 Extremely Durable – sawn from the most dense and tough hardwoods. A & L Wood inc. manufactures Timber mats using quality mixed hardwood species like oak, maple and hickory. 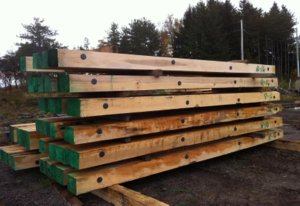 The timber mats are bolted together with thru bolts and the nut and washers are countersunk, Mat ends are notched for easy access to a exposed bolt lifting point. 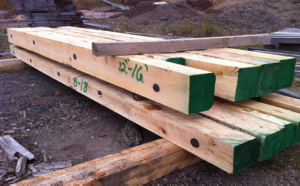 The timber ends are painted with a protective sealant to prevent splitting and checking, providing you with a long lasting timber mat you can rely on to get the job done.Extremely Durable – sawn from the most dense and tough hardwoods. Fully manageable with notched lifting eyes. Notched rods provide security and safety. Dependable & Tough – these timber mats are stable and dependable enough for confident, strong protection while also protecting your land itself. Rot-protected hardwood mats: mats are coated on ends with rot protectant, resulting in longer-lasting hardwood mats and saving costs Each hardwood mat precisely meets specifications- drilled by precision machines. 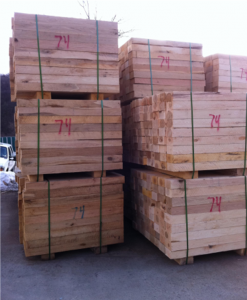 These timber mats are easy to use, transport and reuse- making for very cost-effective hardwood mats. Standard dimensions are 4 feet (width) x 8 inches (thickness) x 16 - 18 feet (length). Custom widths, thicknesses, and lengths are available as well.